361 updated their Sensation running shoe line recently with the Sensation 3. This shoe is a marked improvement over the Sensation 2 running shoe which I reviewed previously. The Sensation 3 is still a stability shoe for those with mild to moderate pronation and that is about where the similarities end. The Sensation 3 got lighter, slimming down by 1.7 ounces to 9.8 ounces. The upper changed from a mesh with multiple overlays to a more breathable mesh with an open toe box design and minimal overlays on the side and back of the shoe. The hard, external heel counter has been replaced with an internal counter. There is a small Achilles notch as well. The stack height of this shoe decreased as they removed some of the midsole while still leaving the 9mm drop in place. It’s still a Qu!k Foam midsole which is a proprietary blend of EVA and rubber. They removed the TPU shank that was in the Sensation 2’s and replaced it with QU!k Spine which is a carbon plate that helps control pronation. The Sensation 3 is still posted and the posting looks to be in the same place and size as the previous model. The width of the midsole under the arch has increase very slightly where the shank used to be. There are more flex grooves on the outsole which is still a blown rubber forefoot with a more more durable crash pad. I wear a size 10 and this shoe fits true to size and might even have a millimeter more room at the end of the toe box. The only drawback to this shoe, and I would question if it’s actually a drawback given the advancements in the shoe is that it’s at the $130 price point. The question then becomes do the changes in the shoe warrant the $10 increase in price. 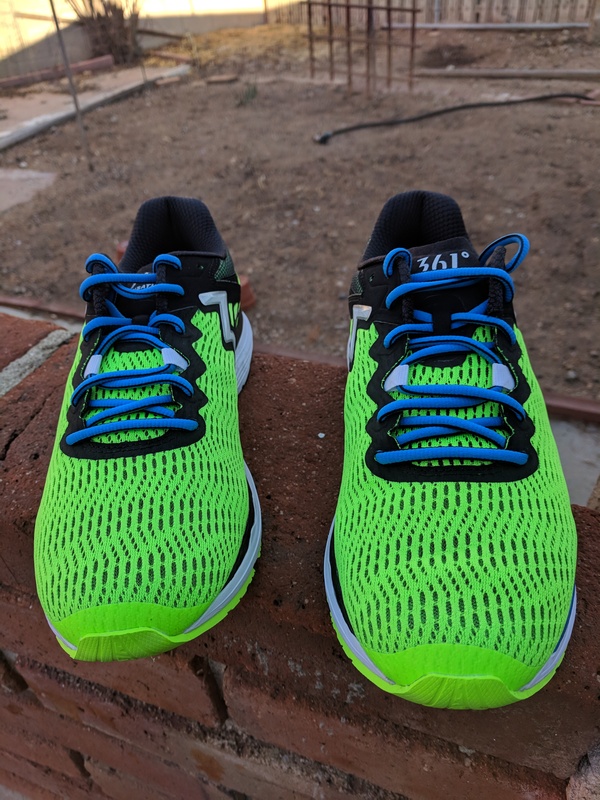 After running in this shoe I have to say I really like this shoe, I would purchase the 361 Sensation 3 at the higher price point before purchasing the Sensation 2 at the lower price point. I would also purchase the Sensation 3 over several other popular stability shoes that are at lower price points. This shoe has become one of two shoes that I reach for most often for those day in day out bread and butter runs. 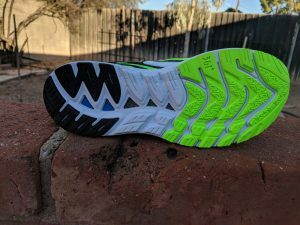 Compared to other stability shoes in mild to moderate pronation control category in my stable this shoe runs on par with the Adidas Supernova although feels completely different and runs better than the other two stability shoes that I rotate through. It also seems to run better than many of the other stability shoes I’ve test run but don’t have in my shoe stash. I’ve got several hundred miles on this shoe and other than some moderate, and what you’d expect, wear on the outsole this shoe still feels great. When I run in a Sensation 2 and 3 at the same time the Sensation 3 has a better transition from landing to toe off, is more flexible, has a better fit and as I mentioned earlier is significantly lighter. All in all 361 has knocked it out of the park with this shoe.